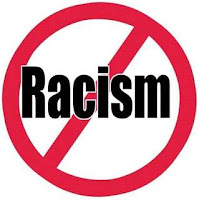 LYNCHBURG, VA - (@The Comedy News) – Reports out of Lynchburg, Virginia indicate that racism in the United States may finally be over. Over a family dinner on Wednesday night, Frank Daniels declared that Barack Obama’s reelection signifies that "the United States, which allowed the ownership of slaves for nearly 100 years, has moved beyond race." Daniels voted for McCain in 2008 and Romney in 2012. He has frequently mentioned that he could not vote for Obama because of the candidate’s Kenyan citizenship--- but, still insists that race did not play a factor in his vote. Daniels was thrown in jail Wednesday morning for indecent exposure at a Buy 'n Save check out line. The judge has set the bond at $30, of which no members of Daniels' family or known friends have come forward to pay.